Bellandur lake—Bengaluru’s largest lake, hits headlines often for all wrong reasons. The once bountiful lake has gradually transformed into a sewage tank. Formation of foam is a cause for concern among the citizens living around. The authorities claim to be doing their best to solve the problem. Fed up with the lethargic attitude of the authorities in solving issue, residents and activists have recently decided to launch a massive campaign to fix the problem once and for all. They say that if this is not sorted out now, it is going to be impossible to continue living in the neighbourhood. In this backdrop, here is all you need to know about Bellandur Lake and its problems. » What did Bellandur lake look like earlier? Bellandur lake, which is one of the oldest and largest lakes in Bengaluru, was the lifeline for surrounding 18 villages a few decades ago. Old time residents of Bellandur village recall the good times when lake was full and the land next to it fertile (till 1970s). 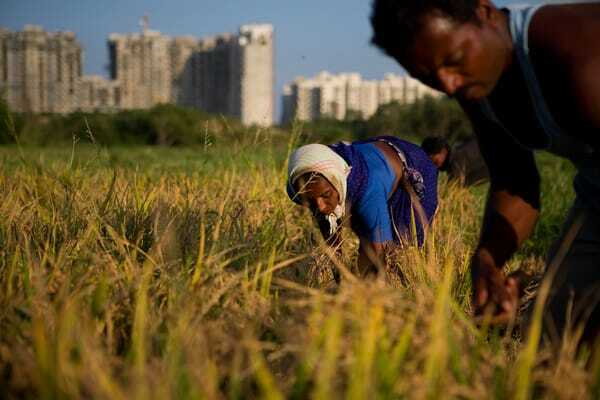 People used to cultivate paddy, grow vegetables like cauliflower and tomatoes in abundance and also do fishing. Apparently, over 400 fishing families were living in this neighbourhood. The lake water then was used for irrigation as well as for drinking purpose. People of Bellandur and nearby villages used to celebrate annual ‘Theppotsava’ (boat festival) on this now infamous lake. 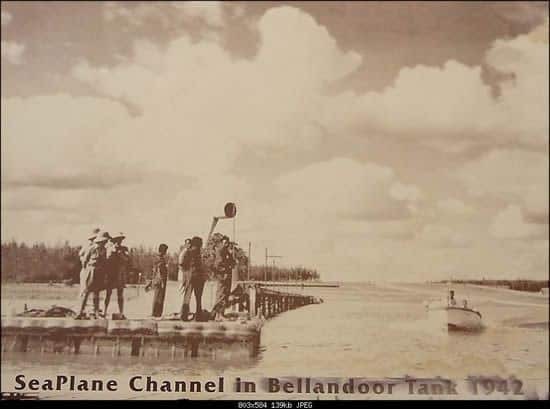 This was also a ‘sea-plane’ channel that was built into the Bellandur lake in the 1940s. » How big is the lake? According to Lake Development Authority (LDA) Bellandur lake spreads over 891.9 acre and its water storing capacity is 17.66 million cubic feet. This is the original size of the lake, but some portion of the lake is believed to have been encroached over the years. A Committee constituted by the High Court of Karnataka in 2011 has estimated the present size of the lake at 797.21 acre. However, lake activists estimate the lake size to be not more than 726 acre. » What is the issue with Bellandur Lake? Bellandur lake is part of Varthur lake series and is one of the highly polluted lakes in Bengaluru. It has become more or less a sewage tank because of untreated sewage water entering into the lake through various inlets. In theory, clean rainwater from Koramangala and Challaghatta (K&C) Valley should flow to Bellandur lake through stormwater drains. However, Bellandur lake gets sewage inflow due to two reasons. Improper sewage system due to which untreated sewage water overflows and joins storm water drains, mixes with rain water, which in turn flows to Bellandur lake via Koramangala and Challaghatta Valley. Lack of effluent treatment plants to treat industrial wastes from small factories which also get into the storm water drains. The STPs at the lake are not effective and limited in capacity. Thus domestic sewage as well as industrial effluents flows into Bellandur lake. There are three major STPs of 248 MLD treatment capacity in the K&C Valley. They are located on the upstream of Bellandur lake to treat sewage water before it enters Bellanduru lake. However, improper functioning of these plants ensures that Bellandur lake receives untreated sewage from Agara pumping station. 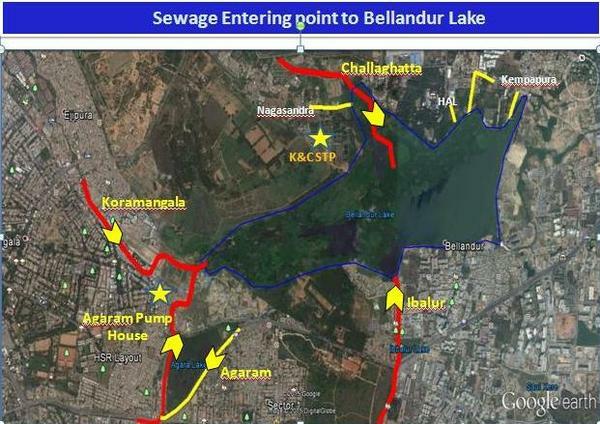 Of the 17 inlets, four main inlets from where sewage enters Bellandur lake are: Koramangala, Agaram, Challaghatta and Iblur. 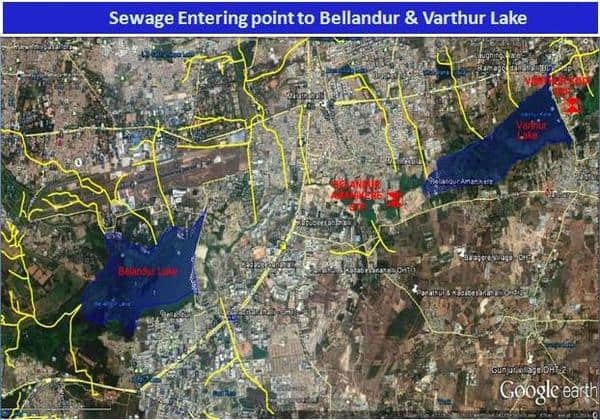 All in all, Bellandur lake receives 40 per cent of the treated / untreated sewage water of Bengaluru (approximately 400-500 million litres of sewage), primarily from areas of BBMP including Bommanahalli, HAL, Byatarayanapura, K R Puram, K R Market, Jayanagar etc. 110 villages which were later added to the BBMP largely contribute to Bellandur lake pollution, thanks to lack of a sewage network. » When did the problem start? What has happened till now? The problem in Bellandur lake began in late 1980s. According to old residents of the area near the lake, foam formation existed even 25 years ago. However, with the increased urbanisation and more apartments in the vicinity, the problem has escalated. With the increased instant communication through social media, the matter is getting more publicity these days. Since 1999, STPs attached to Bellandur lake have been either dysfunctional or not performing to capacity. In 1997, just before the National Games were held in Bangalore, environment activist Ramamurthy and his friend surveyed the lake and found the depth of the lake at the centre to be just 5 feet because of silt and muck, whereas it should have been closer to 20 ft. This prompted some of the residents and activists to take up the cause of saving Bellandur lake. Ramamurthy filed a PIL in the High Court against the inaction of the government and other government agencies to protect environment and lakes in Bengaluru. The High Court in its order issued in November 1999, directed BWSSB to provide proper sewage network in the city to stop sewage from entering lakes. When BWSSB did not follow the court order, the petitioners filed a contempt case. The HC referred the case to Lok Adalat for follow up. In 2002, Lok Adalat directed all government departments including BBMP, BDA, BWSSB, Minor Irrigation, KSPCB and Revenue Department to form a committee and look into the status of Bellandur Lake. However nothing has changed since then and the case is still pending before Lok Adalat. 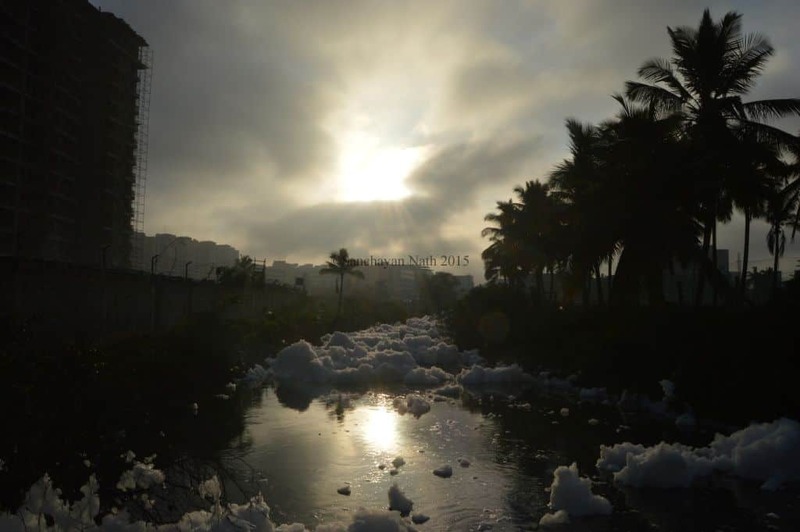 » What is the foam and fire issue at Bellandur lake? In the last few months, far end of Bellandur lake has constantly witnessed the phenomena of foam formation. The stinky froth that irritates skin has been a matter of concern for people residing in Bellandur area. This lather forms specially during monsoon, when large volume of rainwater mixed with sewage enters the lake. It happens when detergent and other chemicals present in the sewage mixes with lake water. The phenomenon is prominently seen at the far end of Bellandur lake and in Varthur lake, though there are reports of other lakes such as Kaikondarahalli witnessing lather when it rains. Read this article for more information on foam in lakes. Fire at the lake is another phenomena that attracted photographers. The cooking oil thrown from households that enters the lake from untreated domestic sewage is said to be the cause behind the fire. Thus, both the froth and flame in the lake point to the flaws in the system that can kill a lake with pollution. » How has pollution affected the lake, people and fauna of the area? Historically Bellandur lake was part of a natural cycle. It used to have clean water during monsoon and became shallow or dry during summer. Now, the lake is filled with stinking water in all seasons, thanks to sewage that flows in everyday. The lake is covered with weeds and filled with silt. Water pollution has led to disappearance of fishes in the lake. Most importantly, it has resulted in pollution of groundwater table in the surrounding areas. An independent study conducted by the Indian Institute of Science in 2013 revealed that borewell water in Varthur village (close to Bellandur) was high in nitrate, ammonium, and phosphorous. Silver articles in the neighbouring houses turn black owing to the chemical nature of water, claim residents. People also complain of lung infection, skin allergy and frequent dengue cases reported in neighbourhood. » Who owns Bellandur Lake? The lake falls in BBMP limits. However, Bangalore Development Authority (BDA) is the present custodian of the lake with regard to rejuvenation. » Who has to rejuvenate Bellandur Lake? Onus is on the BDA to rejuvenate and restore the lake. But, the BDA is not ready to take up restoration work, until and unless Bengaluru Water Supply and Sewerage Board (BWSSB) ensures that sewage water does not enter the lake. BDA claims that restoration will be a futile exercise, if sewage water continues to enter the lake. BWSSB needs to divert the sewage from the lake and treat it in an existing treatment plant or construct a new plant to treat it. In fact the BWSSB has plans to construct a sewage treatment plant on the eastern side of the lake. The lake could be handed over to BBMP, only after BDA finishes rejuvenation work. » Who is responsible for the mess? Government agencies, elected representatives and people are equally responsible for the current state of affairs at Bellandur lake. BWSSB is largely blamed for the mess, as its failure to manage sewage in the city has led to the lake pollution. Due to defunct STPs in several apartment complexes and absence of ETPs in industries, the lake continues to get filthy. BDA too is responsible. Though the government has allotted Rs 3.30 crore for fencing the lake, the BDA is yet to complete the work, due to which lake land continues to be encroached. According to lake activists, only 2/3rd of the lake is fenced, while 918 metres area has remained open. LDA is partly responsible. A CAG report in 2015 has blamed Lake Development Authority for its inability to restore and conserve Bellandur lake, despite allocation of funds. KSPCB has a role to play in the mess. Had KSPCB been strict in its monitoring, the situation wouldn’t have been worsened. Unmindful of the laws, people have encroached the lake land and storm water drains adding to the trouble. Though constructing a sewage treatment plant is must for all apartments, many of the apartments in the catchment areas of the drains that lead to the lake have no STPs. This makes sure untreated sewage enters the lake. There are people who leave their sewage to the stormwater drain though they have sewage line connections. They too contribute to the mess. » What has been done so far to fix the problem and what is on the card? The total capacity of existing STPs at K&C Valley is 305 MLD, whereas the sewage entering through K&C Valley is over 605 MLD. According to BWSSB officials, the existing STPs function up to 70 per cent of their capacity. In order to solve the problem, BWSSB says they have taken up the construction of two additional STPs with total capacity of 150 MLD, one at K&C Valley and another at Bellandur Amanikere. The work on these two plants is expected to be completed by August 2016. BWSSB has made yet another proposal to set up a plant of 150 MLD capacity at Bellandur. Two Intermediate Sewage Pumping Stations (ISPS) too are under construction at Sarakki and Agaram. The Board intends to establish new STPs at source areas including Begur, Hulimavu, Sarakki and Agaram, says BWSSB Chairperson T M Vijay Bhaskar. He believes that new treatment plants will solve the major issue related to Bellandur lake. In addition, the government has made an ambitious project to supply treated water from STPs in Bengaluru to water-deprived Kolar district. » What is the hindrance? The government agencies claim finance as the main constraint for implementing works. The former BWSSB Engineer-in-Chief Venkat Raju had submitted before the Upa Lokayukta that setting up STPs in all inlets involved huge expenses. It may require Rs 800 to Rs 1,000 crore for which government sanction is necessary. “Around 110 villages located around Varthur and Bellandur lakes do not have UGD connection from which sewage flows to the lakes. In addition, there are more than 500 industries from which effluents enter the lake,” he had said. A few days ago, even BDA Commissioner has reportedly said that the agency will not be able to take up the development work of Bellandur lake due to lack of money. » Where does Bellandur lake water go? The sewage water that enters Bellandur lake mixes with fresh water and the excess water flows downstream into Varthur lake. Both these lakes are interconnected). Varthur lake empties itself in South Pennar River, also known as Dakshina Pinakini. The river which originates in Nandi Hills flows to Tamil Nadu and Andhra Pradesh states. Three dams have been constructed on the same river, which supply drinking water to Dharmapuri and Krishnagiri districts of Tamil Nadu. » Who are the people trying to save the lake? A group of people including lake and environment activists and residents of Bellandur-Varthur area are trying to preserve the lake. A few years ago, it was activists like C H Ram, Anil Kumar and Ramamurthy who tried to preserve Bellandur lake by taking up a legal fight. Now, a large number residents have joined their hands in the movement. A Facebook page ‘Save Bellandur, Save Bengaluru‘ too has been created to discuss and create awareness about the plight of Bellandur lake. In a recently held public meeting, former Bellandur Gram Panchayat President Jagannath and other residents discussed many options, including breaking the barrier of the river to let polluted water out, as a symbol of protest. Another resident of Bellandur, Sanchita Jha started an online petition “Clean Up Bellandur Lake” on Change.org in September 2015. 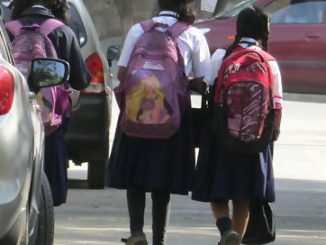 The online campaign has garnered over 20,580 supporters and intends to get support from 25,000 people before submitting the petition to the Chief Minister. A file picture of the Save Bellandur Lake Run that was organised in 2011. 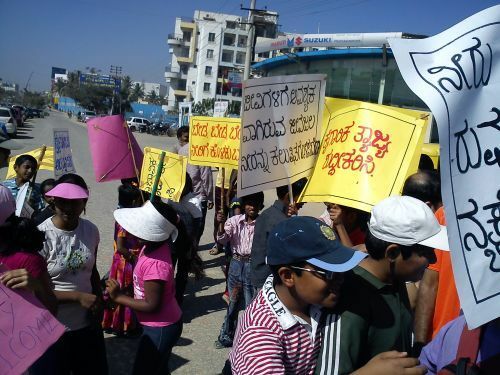 Hundred odd people assembled on Outer Ring Road in front of Pratham Motors as part of the event. Pic: Meera K.
» What are the demands / opinions of the people? Transfer ownership of lake to an accountable authority – BBMP, with proper budget. STPs treat only domestic wastewater. What about establishing effluent treatment plants for industrial waste? An expert study has to be conducted on the impact of government’s project to supply treated water to Kolar, on Bellandur lake. Learn lessons from Hussain Sagar lake in Hyderabad where studies have shown excess water pollution and groundwater contamination. What is the logic behind setting up STP at Amanikere when it is at a distance of 10 km? Sewage water coming from Bengaluru has to go through Bellandur lake before it reaches the site where Amanikere is constructed. » What needs to be done to save Bellandur lake? Since Bellandur lake is connected to different agencies like BBMP (manages storm water drains), Revenue department (catchment areas / encroachment), BWSSB (sewage), LDA (overall lake management), BDA (lake rejuvenation), an integrated plan should be made to rejuvenate the lake. B S Patil Committee formed by the High Court in 2011 has underlined the need for lake restoration. The process involves survey, removal of encroachments, settling litigations, preparation of DPR, technical approvals, tendering process and restoration work. Transforming the lake to its original form is perhaps a gigantic task. It includes de-silting, removal of weeds, clearing encroachment, setting up treatment plants, diverting sewage water, re-establishing wetlands on the lake inlets and maintaining buffer zone. A report by IISc Professor T V Ramachandra and team titled “Pathetic status of wetlands in Bengaluru” offers some solution to control ‘Varthur – Bellandur – Yamalur’ fiasco. The report bats for single agency with statutory and financial autonomy to be the custodian of natural resources (ownership, regular maintenance and action against polluters). It also suggests removal of encroachment based on reliable cadastral maps, regular removal of macrophytes in lakes. In 2012, BDA signed a MoA with a US based private firm to prepare a vision plan for preserving Benagluru lakes. The Vision Plan titled ‘Better Lakes, Better Bangalore,’ too advocated a sustainable water plan for the city with special emphasis on Bellandur lake. According to the researchers, rejuvenation of Bellandur-Varthur lake involves, de-silting, treatment of wastewater through constructed wetlands and algae ponds, re establishing inter-connectivity among lakes, ban on alterations in the topography, maintaining 30 m buffer zone around the lake etc. Lather from Varthur lake is just a tip of the pollution iceberg! Akshatha M was a Staff Journalist at Citizen Matters. She tweets at @akshata1. 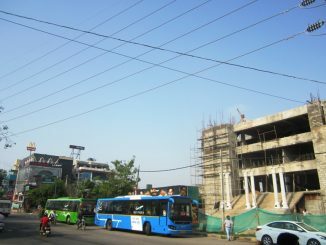 Will ‘Convention Center’ on CA site near HSR BDA Complex move the bus stop? HSR Layout already has many issues related to buses and transport. Here’s one more issue: the bus stop near BDA Complex will relocate soon. Aadhaar is compulsory for admission of children under right to education act. But will that solve the problems? What other problems are being faced by RTE children and parents? The lake spreads over 892 acres ,which converts to 3.886*10^7 sq feet , and the volume capacity of the lake is apparently 1.766*10^7 cubic feet. This would mean that the AVERAGE depth of the lake is less than half a feet(Depth=Volume/Area). So I ask if these initial estimates given by the LDA are legitimate because mathematically it seems a little off. Came across this nice expository article while researching with my daughter for her school project. Valmiki, could you please elaborate on the methods for such conversion. there is no point in blaming anyone. let us ry to solve this problem. the so called polluted water can be converted into useful product for the country. we can help in this. when once the so called pollution of sewage water, industrial pollution is converted into useful product and not allowed to enter the bellanduru kere, the problem can be solved. is any one willing to take this ? Thanks for the detailed Report.Hope the concerned officials wake up and take action. Thanks for this very informative and well researched piece. Many efforts to gain attention to the state of Bellandur or other lake, while being well meaning are mostly superficial. The online petitions are useful but meaningless without without action on the ground or an understanding of how our lifestyle affects the environment around us. What we need is also a willingness to change our lifestyle. Placing the blame on BBMP or the Chief Minister is an easy way out without understanding how we (the ever complaining middle-class) contribute to this.